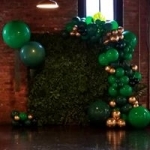 Artificial Extra Large Assorted Plant Backdrop Hedge Mat - High Density - Indoor/Outdoor UV to 5 years! Create your own tropical hideaway, bursting with fresh green foliage that's super attractive and able to transform even the drabbest of areas into a luxurious haven or backyard retreat! This huge Assorted Foliage Leaf Wall Mat is loaded, packed, and stuffed with tons of incredible plant greenery in an awesome assortment of ferns, ivy, grasses and lots of vibrant vegetation! 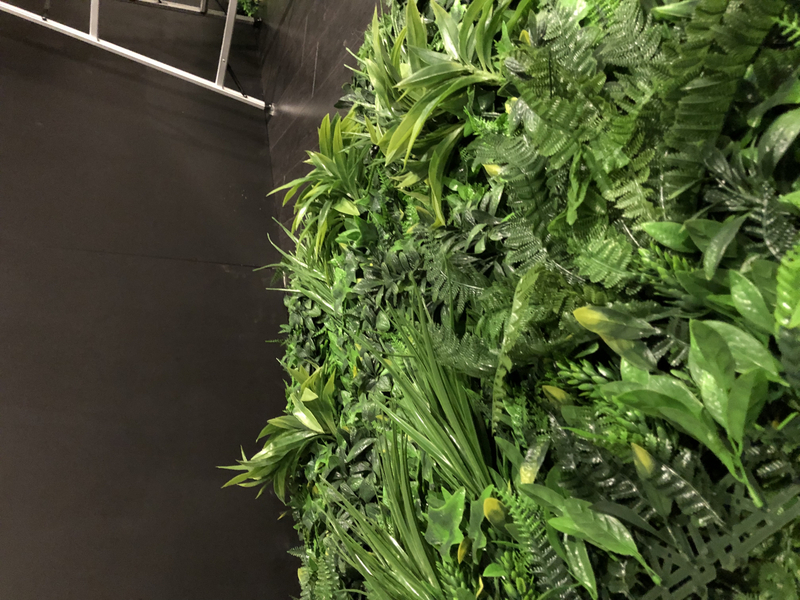 The mixed textures and plant heights along with varying shades of green make this jungle blend wall an asset in quickly covering large areas while enjoying privacy and succulent greenery! This wall is a 40" square on a plastic grid which is actually 16 pcs of 10" square mats that are very securely attached to each other with sturdy plastic pegs and holes so you can easily add on more walls or remove sections to change the configuration. 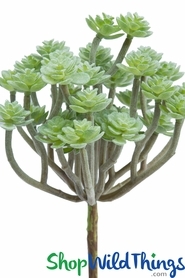 The height or thickness of the plants and leaves ranges from 2" to 7"! it's very full and dense, providing excellent coverage. The foliage extends over the edge of the mat, up to 3", creating a seamless look when placed side-by-side. This mat is completely flexible and will bend around square or round columns, around square corners and it's the perfect solution when dealing with curved walls! 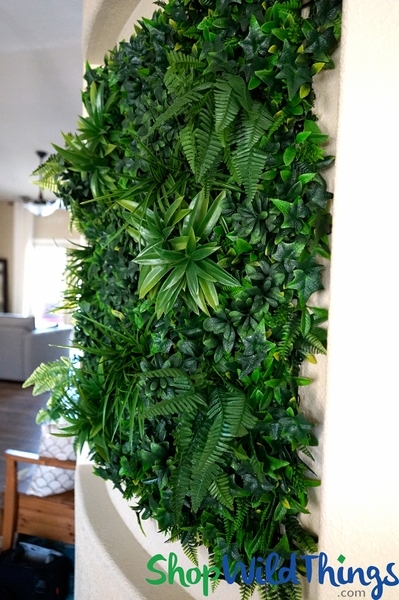 Use indoors to transform any wall, column or surface into a vertical plant garden. 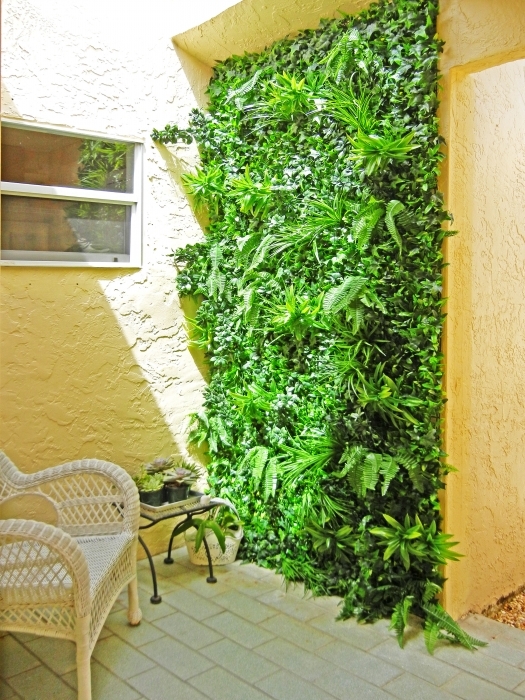 Outdoors, green walls are an instant problem solver for those less than pleasant areas and it is UV protected for 5 years which helps keep it bright and colorful, making it ideal for outdoor use! Camouflage pumps, sheds, utility boxes, air conditioners and even a playhouse or treehouse! 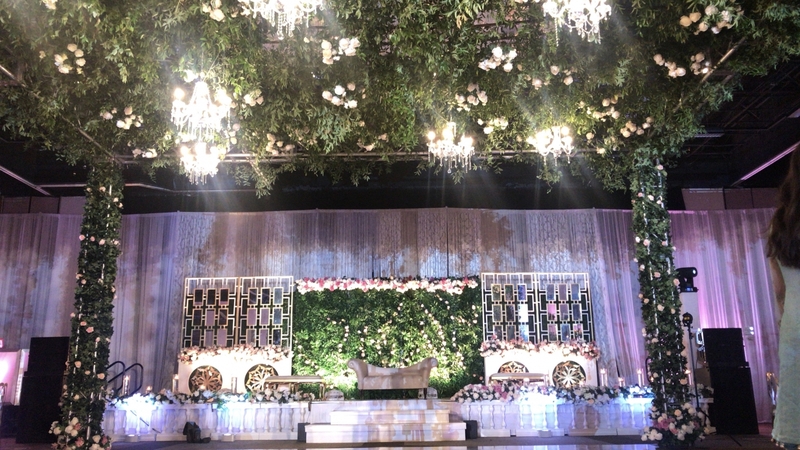 Enhance a cabana, gazebo or pool house and what an exquisite and classy backdrop for weddings, events, garden parties and outdoor festivities. Create a privacy screen or easily change the background of patio eateries, beer gardens, stages and it's spectacular as a vertical rooftop garden! Each mat weighs 7 lbs. and the 1" square grid frame makes hanging and attaching this mat super easy! Simply staple-gun it to a wall or wire tie to a framework. Combine this with walls that have a different shade of green or use colorful floral mats for an incredible contrast in colors and materials. 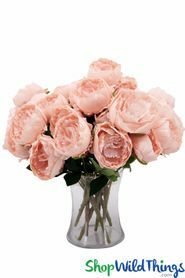 The plastic grid framework also makes it easy to insert and add floral sprays, bouquets, single roses or even string lights! 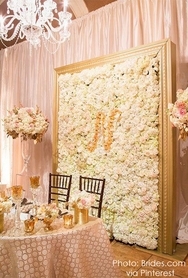 I purchased this living wall pieces to make a 9ft x 14ft backdrop. It came out really nice. Very good quality. I highly recommend it. Our kitchen window looked into a little outside courtyard with a blank wall. I mulled over having a Mural painted there. . .and when I saw this product I knew it would be perfect. The wall is 10 feet high and 50 inches wide, so I used three panels (with one divided into strips that filled the sides and bottom wonderfully). The panels are easy to work with, divide easily and join up to form a different shape easily. Wonderful product. I ordered these for a rage backdrop and I plan on ordering more. They�€™re very lifelike and photograph well. Also, the customer service here is amazing! Great buy! It looks beautiful in real and the quality looks better than in the pictures. 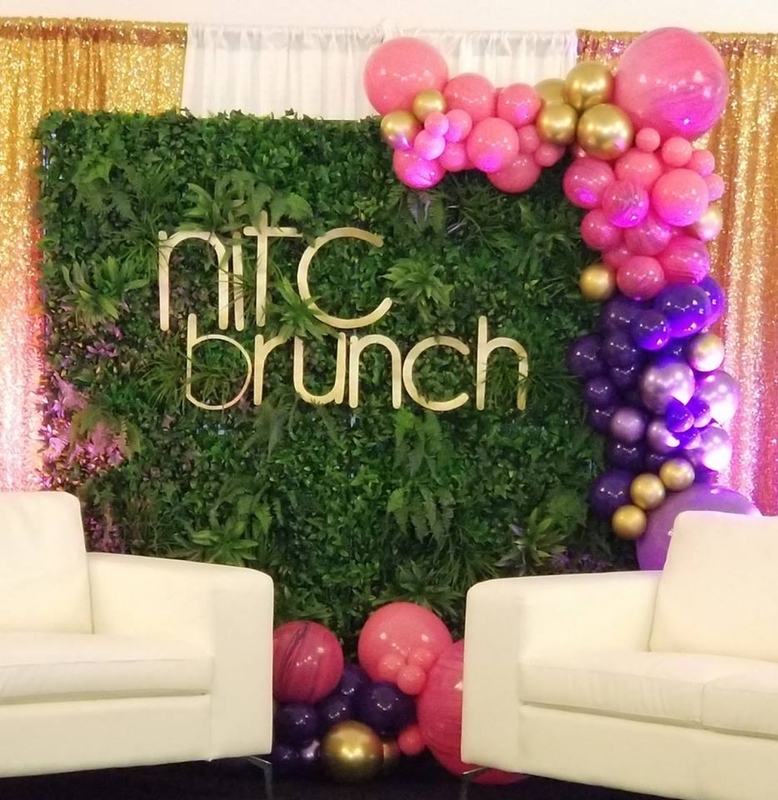 Our walls turned out beautifully! These look so real and gorgeous. Very high quality. We got so many positive comments about how real they look. They're a little hard to clip together, so we ended up ziptying sometimes, but they were a huge hit! Definitely reusing these and potentially ordering more.